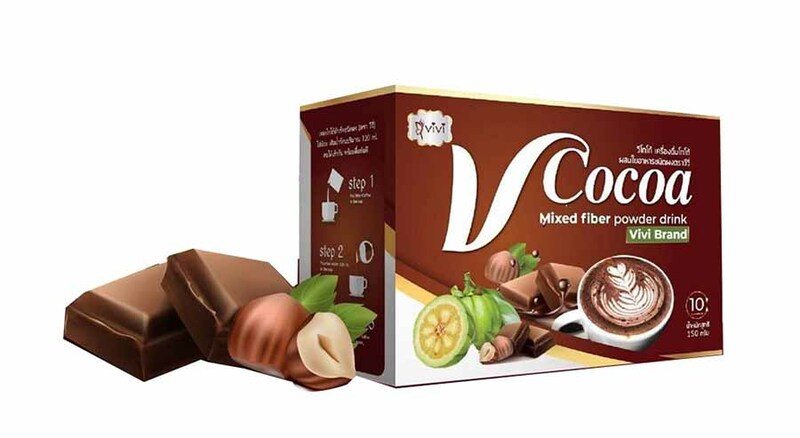 Vivi V Cocoa Mixed Fiber Powder Drink is the Cocoa drink with low calorie for weight control. It helps tighten the body, nourishes skin, and promotes the better excretory system. Change you into a slender girl that you can do it yourself. 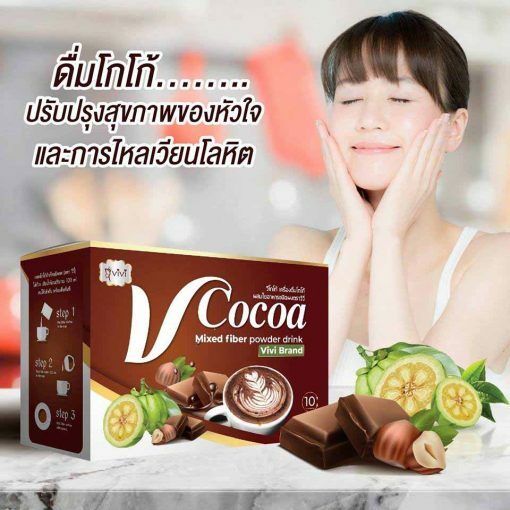 The delicious drink promotes the fresh feeling, slimming body, and radiant and healthy skin within one box. Cocoa contains Endorphins that promotes good mood. 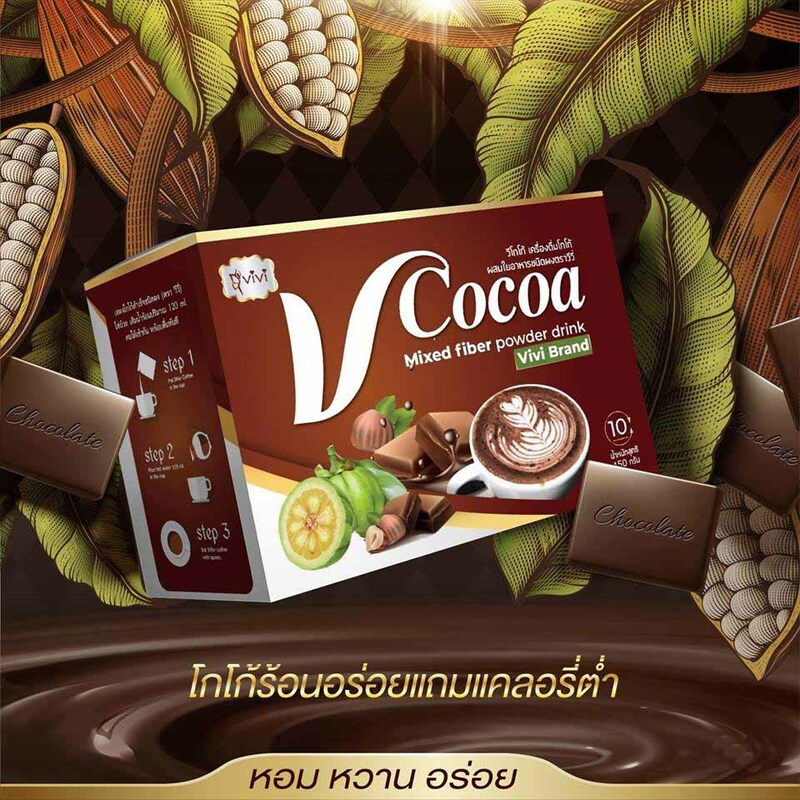 Cocoa contains Flavonoids that are rich in antioxidants. 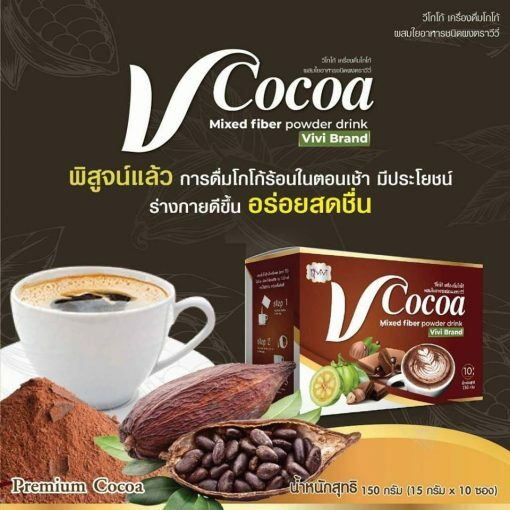 Cocoa helps reduce the risk of cancer and heart disease. Cocoa helps increase HDL fat (good cholesterol). 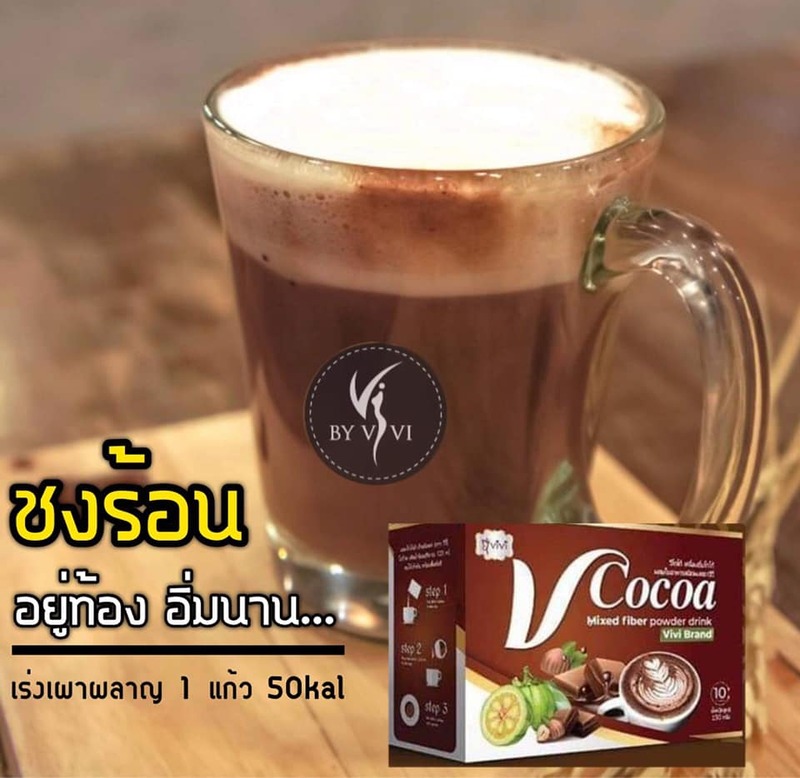 Directions: Mix with water and drink 15-20 minutes before breakfast regularly.